Nikki LeClair lives in Canada with her loving husband and their two rambunctious children. When she isn’t ordering her children to behave or begging her Border Terrier to listen to her, she sits behind her laptop plotting out the next adventure of her new characters. She’s a fan of a good glass of Pinot Noir and can’t live without her favorite tea blends. She enjoys hearing from readers and fans of her work. You can find her on twitter at @NikkiL_Books, and on her Facebook fan page Nikki LeClair. I look over my shoulder to see Eli running toward me, the glass doors now propped open, glistening tulle hanging from the door frame. He rolls his dark brown eyes and pats the top of his dark, wavy hair. Next to Eli, I always feel slightly less stylish. He’s in a pair of dark jeans, a classic rock T-shirt, and an expensive brown leather jacket that he’s paired with a taupe scarf. Meanwhile, I’m in a knee-length black shirt and a red short-sleeved blouse, my unruly dark hair pin straight down my back. His face twists in a bunch. I feel my back straighten. Eli spins, his hands on his waist, and I take a step to the side to look at the burly man who just entered the room, grunting a few times as he glances around. In his large arms, he holds a medium-sized barrel. The man drops the barrel onto the floor, the thud echoing throughout the room as he rushes back through the door. I hurry toward the barrel and pull the heavy lid off. Eli and I both gasp when we look inside. There are no actual flowers — just dried, stringy red pieces. The smell is intense — sweet, kind of like honey, but there’s a heavy, earthy aroma you can’t miss. “It looks like garbage,” Eli says. Happy new release to debut author Karan Eleni! Book three in the Launching Love series, SEVEN DAYS TO PARADISE, is out now! 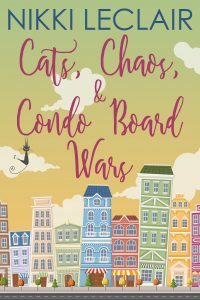 From debut author Karan Eleni comes book three in the Launching Love novella series from Kindred Ink Press – a sweet romance about making time to relax, letting love find you, and dealing with trouble in paradise. Lorilynn Matthews has been in the same dead-end job for six years and is ready for a break. When her recently-dumped best friend suggests a girls’ week on a cruise through the Caribbean, Lori is hesitant but accepts the invitation. As his brother’s best man, Clayton Weldon agreed to co-organize a joint bachelor/bachelorette party. What he didn’t agree to was reliving his honeymoon with his ex-wife. When someone else’s drama lands in his lap, he wants to avoid it, but it gives him an opportunity to escape his own, if only for a moment. Will a chance meeting, seven days on a cruise ship, and drama at every turn make for the excursion of a lifetime or create the need to reach for life preservers to ride out the end of the trip? In no particular order, Karan Eleni is a bookworm, blogger, reviewer, publisher, author services wizard, former band manager and merch girl, crocheter, proud auntie to two mini bookworms, momma to two spoiled black cats, and newly published author. She lives in Central Minnesota and spends a majority of her time living in the book world until her family drags her kicking and screaming from her house (unless they bribe her with tacos). Follow Karan on Facebook, Twitter, Pinterest, Instagram, and Goodreads at @karaneleniwrite. If she ever logs in, she’ll thank you and follow back. Happy release day to Erin Huss! Rocky Road & Revenge, book two in the Cambria Clyne Mystery series, is available now! From author Erin Huss comes another “hilarious and fun” (Huffington Post) addition to the Cambria Clyne Mysteries. For apartment manager, Cambria Clyne, every day is a bad hair day, and her birthday is no exception. At least the rest of her life is in order. Her daughter is thriving in their new home, Cambria is up for a promotion at work, and she’s got two men vying for her attention—the hunky ex-maintenance man and her dreamy baby daddy. As if that wasn’t enough excitement, Cambria’s best friend, Amy, has just landed the role of a lifetime on the hit prime time drama Ghost Confidential. Yes, things are looking up for Cambria Clyne, and this just might be her best birthday yet! Erin Huss is a blogger and best selling author. She can change a diaper in fifteen seconds flat, is a master overanalyzer, has a gift for making any social situation awkward and yet, somehow, she still has friends. Erin shares hilarious property management horror stories at The Apartment Manager’s Blog and her own daily horror stories at erinhuss.com. She currently resides in Southern California with her husband and five children, where she complains daily about the cost of living but will never do anything about it. Happy release day to Melissa Baldwin. Book two in the Love in the City series, ALL YOU NEED IS LOVE, is available now! CJ’s journey is one of growth, trust, and taking risks. And in the end she may realize that to be truly happy—all you need is love. Release Blitz Susan Murphy's Aloha Love Check it out today. From the author of the Confetti Confidential series, Susan Murphy, comes a new women’s fiction novel about finding yourself through the toughest of experiences and learning how to not only love again, but how to love yourself. They say ‘true love comes but once,’ but what if you missed it? Jennifer Bell knows she missed her chance more than twenty years ago. Heartbroken and alone, she fell into the arms of a charming guy and into his violent hold. Barely escaping with her life with scars that would likely never heal, she vowed never to let herself fall in love again. Throwing herself into her work as a marriage celebrant, she spends her time helping others achieve their fairy tale ending. But what if the chance for love found its way back to her? While on a working holiday to Hawaii, with her best friend Anna (who is having a major life crisis of her own), an encounter with the man she lost all those years ago could change everything. Will she have the courage to fight for what she wants? Susan Murphy is a Civil Marriage Celebrant based in South Australia. With over 8 years experience, she’s had the pleasure and blessing of conducting ceremonies all over the country including weddings, baby namings, commitment ceremonies, funerals and anything else that has been requested by a client. The stranger the better! With a passion for words and a determination to one day (even if it was from the nursing home) become a writer, she made a fateful decision to attend a Masterclass with the amazing Fiona McIntosh, and from there ‘Confetti Confidential’ was born. ​It's time for another #CoverReveal!!! We are thrilled to share the cover for Ellen Wilder's upcoming #ContemporaryRomance novel, NOTHING WITHOUT YOU! NOTHING WITHOUT YOU releases on April 18, 2018 and is now available for #preorder on Amazon, Barnes & Noble, and iBooks! Kobo is coming soon as well. 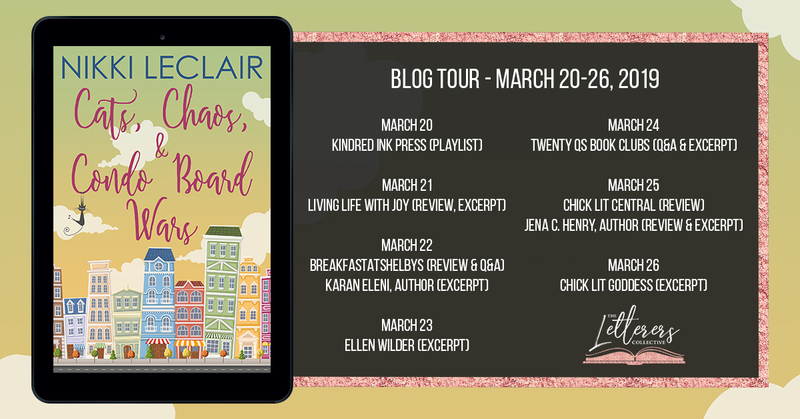 Welcome to the Love Onboard Blog Tour! I'm Ellen Wilder and I wanted to give you an excerpt of my story from this anthology, Cinderella at Sea. Check out the main page of my website for the link and a giveaway! Hope you check it out. It's only .99 cents for 5 great novellas by 5 great authors. The door opened, and she was face to face with the man from the night before. Manda smiled. Devin Strasburg—or Hunter Cross as most people knew him. His curly hair was dripping with sweat. He hugged Diana, then they both turned to look at Manda. Her heart rate increased. Did he remember her? What did he remember? She blew out a heavy breath, trying to get herself under control. Inhale, exhale. Hunter walked over to her. Should she let, Diana know that she knew him? Nope, she just smiled. Number one fan? Manda practically choked on the introduction. “What?” Diana’s mouth fell open. Manda chuckled. He remembered something. He wouldn’t be kicking Diana out so quickly if he didn’t. Hunter shut the door, effectively removing Diana from the conversation. “I’ll get even with you for that, you just wait and see.” She bellowed through the door. Can either of them make it through the singles cruise and remain single, or will they get the happily ever after neither of them was looking for? Shea McMaster lives for traditional romance. Born in NewOrleans, raised in California, Shea got moved to Alaska in 1977, where she attended high school before running back to California to get her English degree from Mills College. Alas, onceback home she met and fell in love with her own forever true hero, a born and raised Alaska man. Since then she’s had a love-hate relationship with America’s largest state. With her one and only son grown and on his own, Sheais fortunate to spend her days playing with the furry child, and engaged in daydreaming, turning those dreams into romantic novels and novellas featuring damsels in distress rescued by their own brains and hunky heroes. She also writes under the steamy romances under the name Morgan O’Reilly. Healing Hearts by Michele Shriver - After a bitter divorce and custody battle, Taryn Bradfield’s best friend books her on a singles cruise, where she meets Makai Grant, an airline pilot burnt out on love. Sailing the Caribbean, Taryn and Makai find healing and passion in each other’s arms, but too soon, the ship returns to port. Was it a vacation fling, or the start of something more? Cinderella at Sea by Ellen Wilder- When girl next door Manda Reilly discovers hero country singer Hunter Cross is onboard her singles cruise, Manda finds herself indulging in the exotic. Hunter’s heroism goes more than skin-deep. Can the man she’s known forever really be her one true love? Ellen Wilder was born and raised in Indiana. She is happily married to her husband of five years and enjoys raising their two girls and one boy in thehouse where she grew up. They have a border collie/corgi mix named Loki. Her parents started reading to Ellen and her siblings at a very young age. They quickly tired of books for younger children and turned to chapter books like Tarzan, The Hobbit, and Lord of the Rings forging Ellen's love for reading. Ellen started writing in Junior High with an assignment from her computer writing teacher. Her first attempt at a modern day Old Yeller crossover with NYPD Blue was "awful", but that didn't stop the inspiration from flowing. Ellen now writes contemporary romance novels with a realistic twist to them. If you’re looking for fairy tales, you won’t find them here as her characters deal with real life issues. She loves helping people with their writing, paying forward the help that she has received allowing her to be where she is today. This blog tour was organized by Karan Eleni & KEPR Tours. WINTER CAN WAIT is available TODAY!!! Continue to follow Summer on her wild one-year journey in this second book of the Series of Summer: Novella Series. Stay tuned for two more installments coming 2017. Melissa graduated from the University of Central Florida with a Bachelor’s Degree in Communications; she has always had a love for writing. An avid journal keeper, she took her creativity to the next level by fulfilling her dream with her debut novel, An Event to Remember... Or Forget. Since then, she has written and published four more novels, Wedding Haters, See You Soon Broadway, Not Quite Sheer Happiness, and Friends ForNever. Melissa resides in Florida, with her husband and young daughter. When she isn't writing, this multi-tasking master organizer is busy being a mother, wife, chauffeur, PTA President, and Fitness Trainer. This release blitz was organized by Karan Eleni & KEPR Tours. Love Onboard: Cupid's Caribbean Cruise Available Now! LOVE ONBOARD! CUPID’S CARIBBEAN CRUISE sets sail TODAY!!! Love Onboard: Cupid's Caribbean Cruise. . . . Waves of New Contemporary Romance stories are coming from some of your favorite romance authors, all set aboard a Valentine’s singles cruise. Too Fast for Love by Lilly Christine - Race Car Driver Luke Devlin’s anger issues bring him to a screeching stop, but Love Expert Lacey Lipinski has the keys to help him recalibrate. Can a cruise ship fling survive life in the fast lane? When not hunched over her laptop dreaming up strong female leads in sassy dialogue with dashing male counterparts, Lilly Christine can be found hiking and down-dogging with her two dogs and one cat. In addition to reading, she enjoys several outdoor activities including riding horses, gardening, and biking. Just One Look by Deb Julienne - On a secret mission for her father, Diana Clay aka ‘Diana Tolliver’ finds herself alone on a singles cruise. She befriends a passenger and they play a game...date for a cruise. Each must pick out the others date for the duration of the cruise. Between her research on the ship and her new “boyfriend” she has her hands full. USA Today and Amazon Bestselling Author Deb Julienne has penned multiple romantic comedy and western novels and anthologies. While some say truth is stranger than fiction, her experiences run more along the lines of a slapstick comedy. She makes her own Limoncello...enough said.After the day job, she loves to play in the kitchen concocting award-winning jams, jellies, preserves, and sauces (with alcohol of course). Born and raised in San Jose, California, she now resides in her own little bit of heaven in the Sierra Tahoe National Forest Basin, with her husband of 35 years, their three sons and one daughter, and five very precious grandchildren with number six on the way. Pirated Pixie by Shea McMaster - Irene Lundquist has no plans for romance while on the cruise with her jilted best friend and his groomsmen. She's surprised when Dutch Marshal’s good looks and charm do nothing to help her relax, and everything to steal her heart. For Dutch, things get complicated when the best man in charge of the group plans is a gorgeous pixie-sized redhead woman who lights his fire. Can either of them make it through the singles cruise and remain single, or will they get the happily ever after neither of them was looking for? Shea McMaster lives for traditional romance. Born in New Orleans, raised in California, Shea got moved to Alaska in 1977, where she attended high school before running back to California to get her English degree from Mills College. Alas, once back home she met and fell in love with her own forever true hero, a born and raised Alaska man. Since then she’s had a love-hate relationship with America’s largest state. With her one and only son grown and on his own, Shea is fortunate to spend her days playing with the furry child, and engaged in daydreaming, turning those dreams into romantic novels and novellas featuring damsels in distress rescued by their own brains and hunky heroes. She also writes under the steamy romances under the name Morgan O’Reilly. Cinderella at Sea by Ellen Wilder - When girl next door Manda Reilly discovers hero country singer Hunter Cross is onboard her singles cruise, Manda finds herself indulging in the exotic. Hunter’s heroism goes more than skin-deep. Can the man she’s known forever really be her one true love? This pre-order blitz was organized by Karan Eleni & KEPR Tours. Catch up here for exclusive excerpts, news, and updates about our books.